She...Who would be Pope, a new, feature-length motion picture starring Liv Ullmann, is now available for release worldwide. Directed by Michael Anderson (The Dam Busters, Around the World in Eighty Days), based on a script by John Briley (Gandhi, Cry Freedom) and featuring a score by Maurice Jarre, She...Who would be Pope co-stars Keir Dullea, Maximilian Schell, Trevor Howard, Olivia de Havilland, Lesley-Anne Down and Franco Nero. The story behind She...Who would be Pope is a fascinating one. 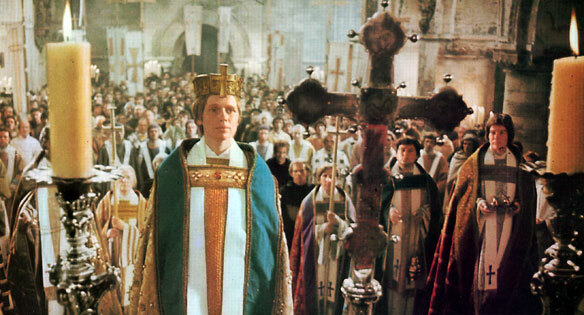 Filmed in 1972 as Pope Joan, the tale centred around a 20th century woman who believes she is the reincarnation of the legendary 9th century female Pope. 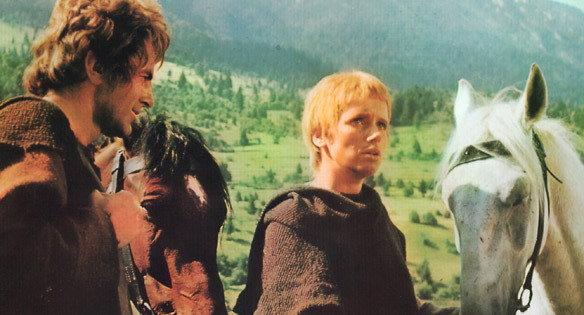 The film was edited with flashbacks and flash-forwards. 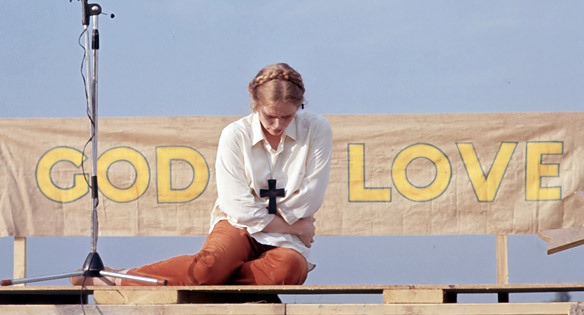 The original distributor of Pope Joan, however, decided this innovative cross-cutting was 'ahead of its time for audiences' and insisted that all of the contemporary sequences should be removed. The film was released as a straightforward historical drama (under the title The Devil's Imposter in the USA). Now, with this meticulously crafted 2009 restoration, She...Who would be Pope takes on a new life, regaining the psychological underpinnings that were removed. 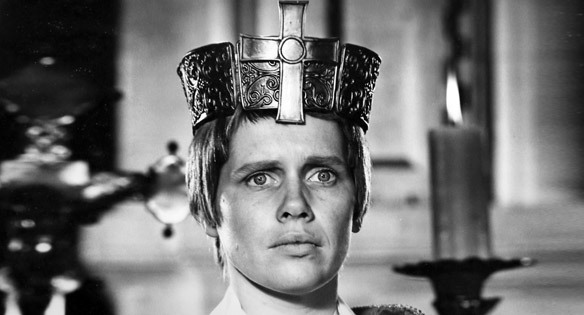 "The thought of restoring Pope Joan to its original glory has been festering for many years with the entire creative team," says producer Kurt Unger. "It was the coronation of Pope Benedict and the realisation that new generations had not heard of the legend of the female Pope that prompted us to start the project." Unger and his team, which included many of the original 1972 crew, restored as much of the excised footage as possible, giving back the film's original edge."